A preview of the crowd characters. 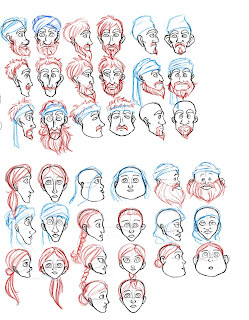 The changing faces share identical topology to allow automatic face rigging. Soon they will have hair! They were modeled from the original designs by Cassidy Stone (posted below movie).